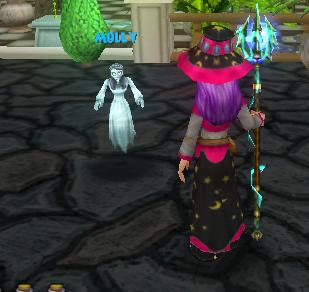 It was mentioned to me that some pets weren't happy in different spot of your house, so I tested this and sure enough my Molly ( pale maiden ) would not dance outside I took her inside and found a place she would dance. Pay attention to your pets if they wont dance move them. I think pets are going to become some of the most active parts of housing yet :) Think about it you can now have cats and dogs in your house like you would in real life and imagine some of the themed houses! How would you like a haunted house with actual spiders,mummys and ghost! ;) Until next time Happy house decorating.